When choosing a filter to perform various applications or obtain certain objectives, there are several things one must consider. This guide will help you choose the right filter in just a few steps. Firstly, you match the application with the best pore size for the job. Secondly, you will select the best housing material and membrane for the application. Thirdly, you will select the right membrane area to help optimize the throughput and flow rate. And lastly, choose the filter design that best fits your application. The pore size will depend on your overall objective or application. For example, for mycoplasma removal, a 0.1 µm size pore filter is best. For routine sterilization for most biological gases and fluids, buffers, and media, pore filter membranes between 0.2 and 0.22 µm are used. Another example would be to use a 0.45 µm or larger for prefiltration and clarification of solvents and solutions. Filter performance can also be improved by using glass fiber prefilters during the prefiltration process. The following chart provides some of the applications that you may use and the recommended pore size and membrane availability for each application. It is important for the filter to be compatible with the sample’s chemical characteristics. There are some filter membranes with wetting agents that are non-toxic but may interfere with an application. Other membranes can potentially bind with macromolecules, like, proteins, which leads to premature clogging of the filter or a loss of the sample. That is why it is vital to know the characteristics and possible effects when the filter membrane and the solution come into contact with one another. These membranes are recommended for applications that require low protein binding, like filtering a culture media that contains sera. They have a low binding potential. These membranes are recommended when there isn’t a concern about protein binding. 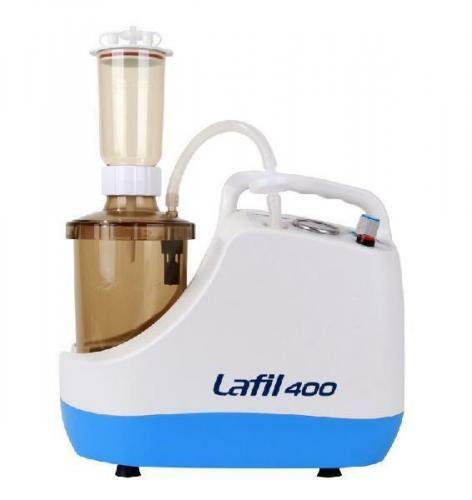 It is the recommending material for general applications, like buffer filtration. Both Cellulose Acetate and Cellulose Nitrate membranes have tiny amounts of wetting agents during their manufacturing process to ensure that the membrane is properly wetted. They can be removed using warm and purified water running through the filter unit and membrane. These membranes are recommended for applications that require low extractables, because they do not contain wetting agents. They have a higher chemical resistance, which makes them better for filtering aggressive solutions, like alcohol. These membranes are recommended for the filtration of cell culture media with low extractable and protein binding. These membraned have a solid chemical resistance for solvents and are hydrophilic. They are mostly used to de-gas or ultra-clean solvents. These membranes are permanently and naturally hydrophobic and perfect for filtering gases, like humidified air. Filters made of glass fiber are used for the prefiltration of solutions and have a high particle loading capacity. The housing material is also an issue to consider, so it will be vital to determine whether the material is compatible with solutions that are being filtered. Some options include polystyrene, acrylic copolymer and polyvinyl chloride, and polypropylene. The next step is to ensure that you have enough throughput or volume capacity to process the sample efficiently and quickly. This is usually measured by the surface area of the membrane. For example, a 4mm disc or syringe would likely use a filter with an effective area of 0.07 cm2 and have an expected throughput of between 0.05 mL to 3 mL’s. Lower values are more typical of particle-laden and viscous solutions, whereas the higher values are more typical of serum-free or buffers medium. There are various types of filters that are designed for use with different applications. These include disk or syringe filters, vacuum filters, and storage or filter systems. These filters are used for syringes and act as the pressure source and the fluid reservoir. They usually come in various sizes that include 4, 15, 25, 26, and 28 mm in diameter. Larger 50 mm disk filters are usually made with a polypropylene housing and a polytetrafluorethylene membrane. It is ideal for the filtration of aggressive gases or solvents or applications that require the use of a sterile venting gas. They are hydrophobic, so the aqueous solutions will not pass through the membrane. They are primarily used to protect pumps and vacuum lines. There are three main styles of sterile filters that include bottle top filters, complete storage or filter systems, and centrifuge filters for tube tops. They are used for various purposes and are labeled to identify the type of filter and are designed with a grip to help the user hold and attach the units. These units include a membrane filter unit that is within the centrifuge tube to filter small volumes of the sample for particle and bacteria removal. They are also used to purify DNA from polyacrylamide and agarose gels. These steps will help you identify the type of filter that should be used for the application. This guide provides some details regarding how to identify the type of materials and filters are needed for common uses. It is important to ensure the right filtration system and materials are used, including the pore size, to ensure that you get efficient results.